The Japanese not only have quirky looking cellphone straps and cars, the same concept also applies to their drinks. If you think you have the intestinal fortitude of iron and have never experienced an upset stomach before, perhaps you would like to check out these soda drinks from Shibuya, Japan? 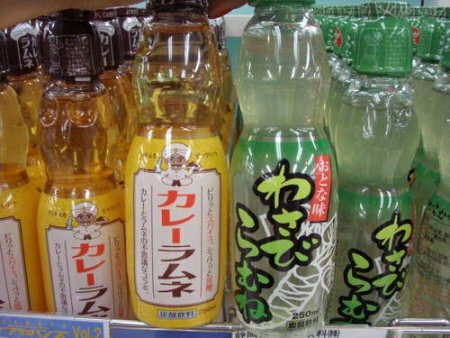 You can pick from wasabi and soda as well as Indian curry and soda flavors. I personally cringe at the thought of either, although the pungent smell and taste of the former puts me off more. Which would you choose if there was a gun pointed to your head?